No more asparagus until next year. too true - I could have if I had been organised enough to note it would be the end. Next year maybe I should do that, Jocelyn - thanks for the tip. But what a lovely way to bid them adieu...that photograph is just gorgeous! Quite sad - now we have to wait so long. Great photo! Ah, perhaps I won't lament my slow to arrive New England spring, then...we've still got asparagus here. But you're well into the loveliness of summer produce, while I sit with my asparagus and wait, so I suppose it evens out. I still have one bunch in the fridge - hoarding them! 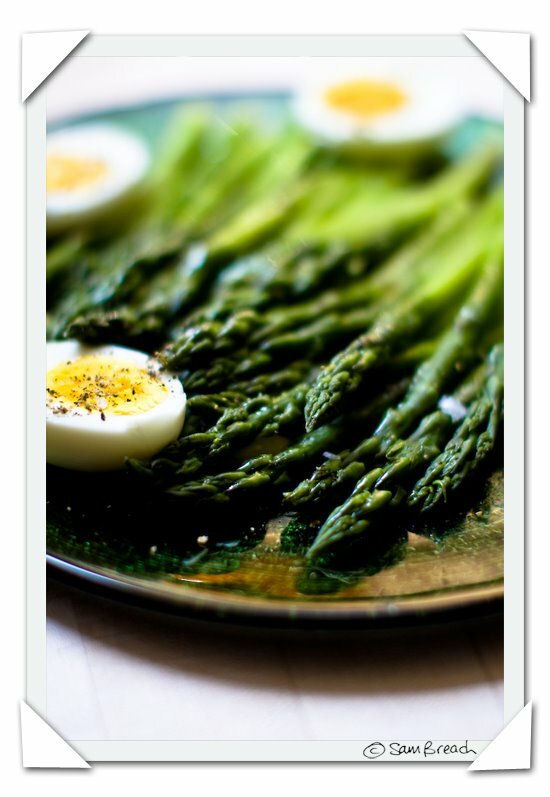 That photo is perfect-we had asparagus last week. Dad was given a bunch from a work mates garden. it s a very sad time, some things i get tired of b4 the season ends, but never asparagus!